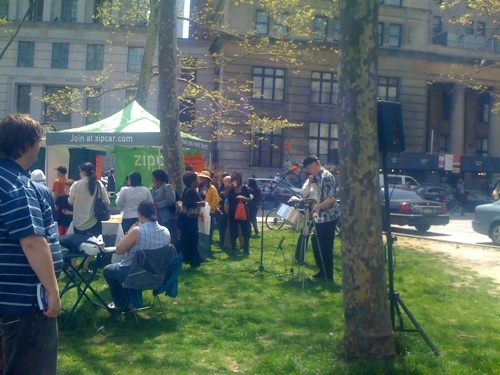 In front of City Hall, a man plays the steel drums in front of the ZipCar tent. Increased access to the birthright of every citizen (the automobile) was advocated. Free watermelon was served. 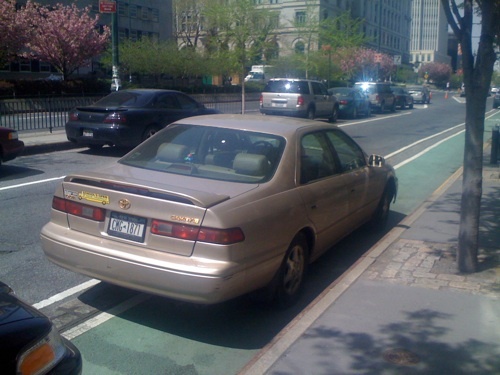 Nearby a person reminds us (via bumper sticker) to drive safely, while parked in a painted bike lane. The placard in his window lets us know that this person is a hero, rather than an ordinary disgrace. 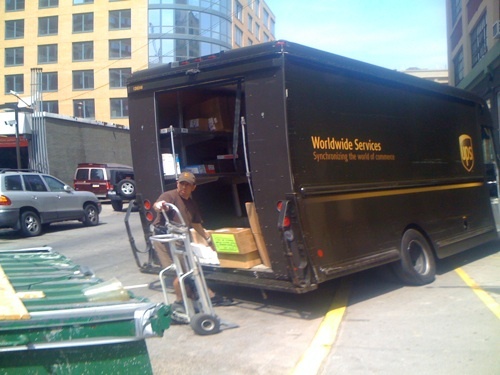 Back at Etsy Labs, time for the deliveries (that’s the sidewalk). 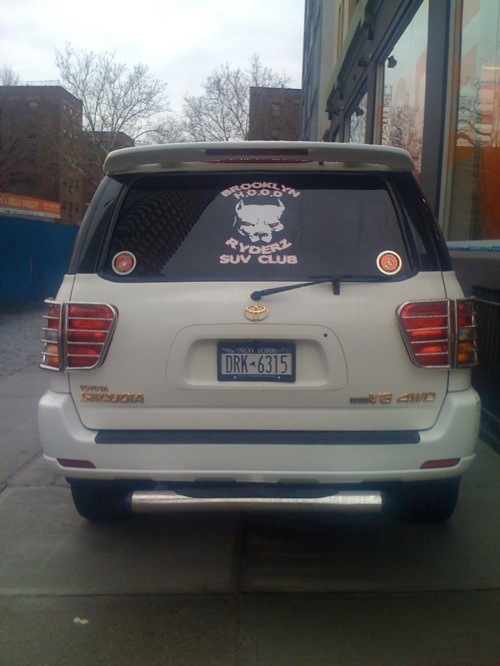 Also near the Labs, signs that Brooklyn’s repressed SUV-owning minority are joining forces and taking back the sidewalks. 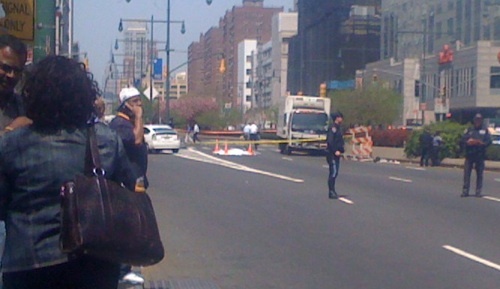 Meanwhile, on Brooklyn Bridge Boulevard, a woman is brutally killed. 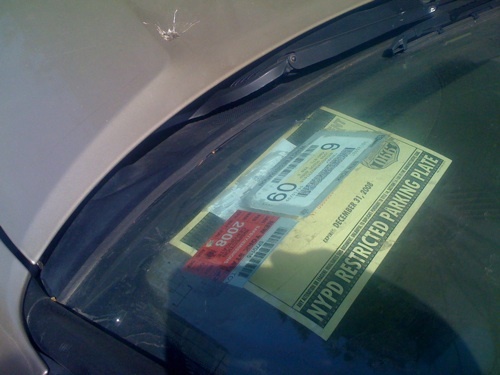 If it occurs to anyone that traffic should not be hurtling through Brooklyn at speed, they don’t speak up.